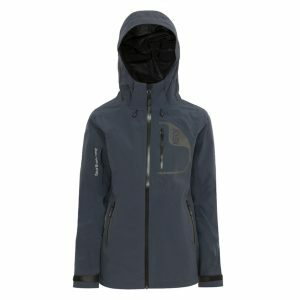 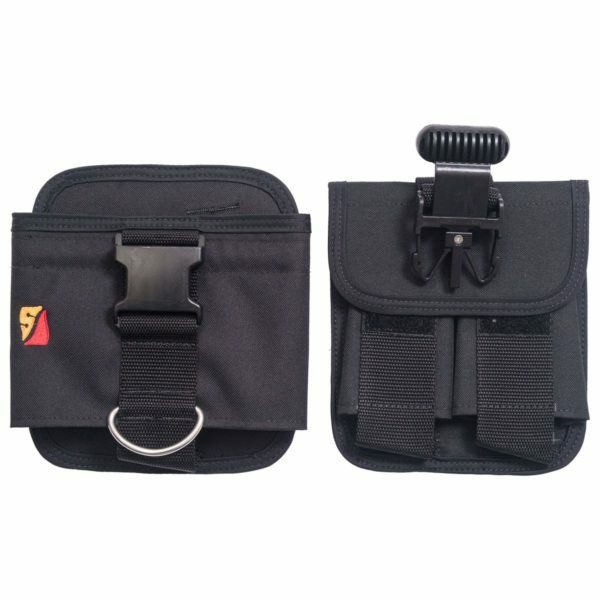 The perfect pockets for cold water divers or divers needing more weight. 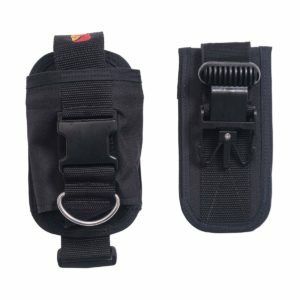 The 32lb Quick Buckle (QB) Weight Pockets consist of an insert pocket that easily releases when the handle is pulled and a holster that stays securely on the waist belt. The insert pocket has two compartments to separate heavy weights and keep them from slipping inside. 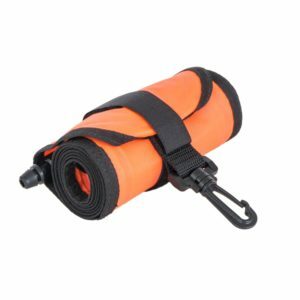 Designed to be worn with the TransPac harness, the 32lb QB Weight Pocket is worn vertically with each pocket holding up to 16 lbs. 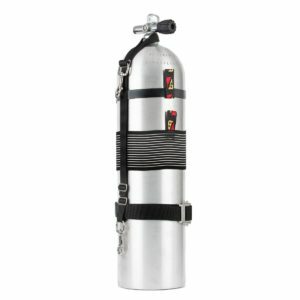 of weight securely in position throughout the dive. 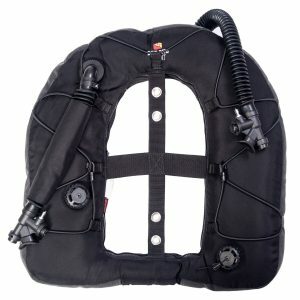 Simple, top-loading pocket protects divers from an inadvertent buoyancy event by keeping weight securely in place. 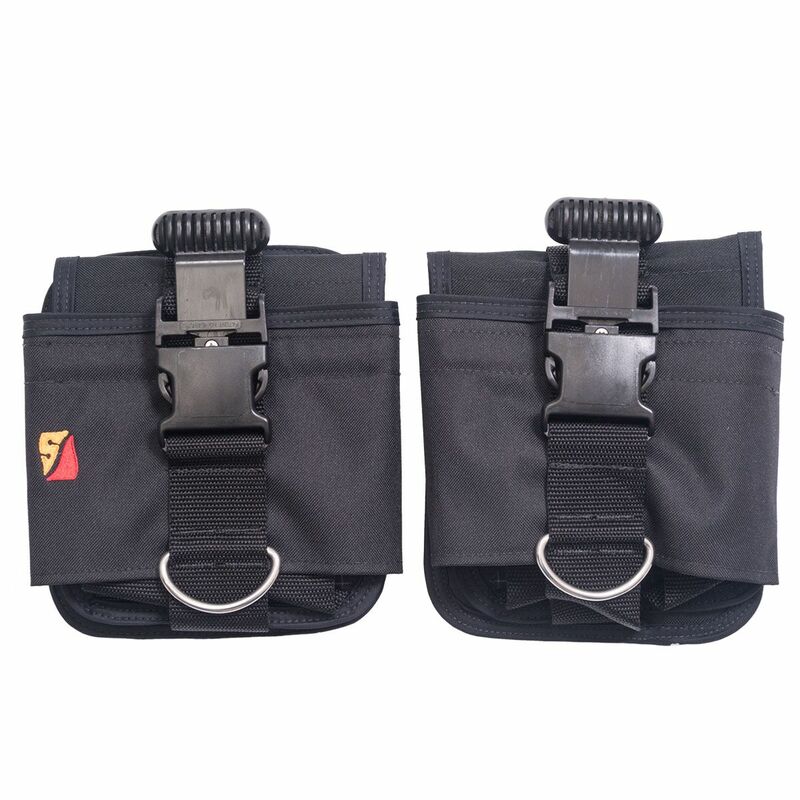 Worn at an angle on the waist belt for easier access, the right hand pocket is identified by the Dive Rite logo while the left hand pocket is plain, without a logo.